﻿ WSB: Althea considering British Superbike switch? WSB: Althea considering British Superbike switch? 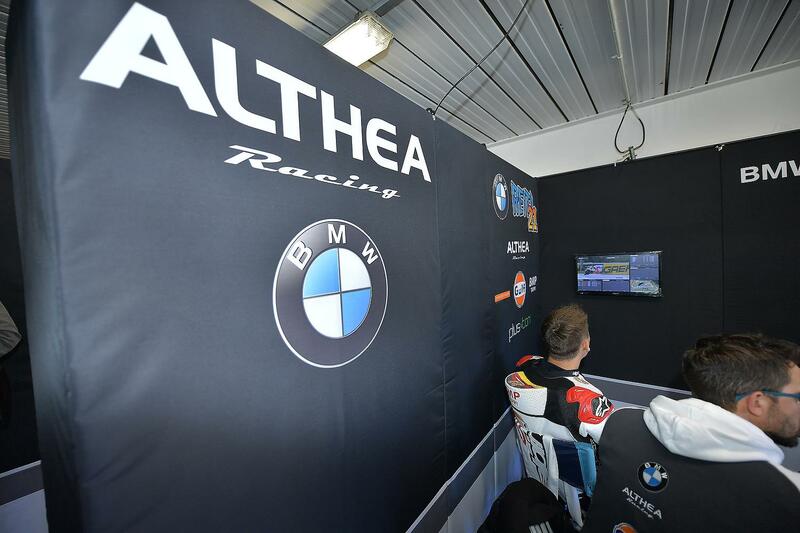 The Althea BMW World Superbike team could be set to leave the world stage to move to the MCE British Superbike Championship in 2018, MCN understands. Team owner, Gensio Bevilacqua has long been thought to be unhappy with the current situation in World Superbikes, where the factory Ducati and Kawasaki teams are currently able to be far more competitive than the smaller teams with less manufacturer support, and could consider a switch to BSB as he seeks to return to winning ways. The Althea team won the 2011 World Superbike Championship with Carlos Checa and went on to win four further races in 2012, but the Italian outfit hasn’t returned to the top step since despite competing with Ducati, Aprilia and most recently BMW machinery. MCN understands Belivacqua has made enquiries about a possible switch as he ponders his options for 2018. Althea’s two-year BMW deal is up at the end of this season, and according to Speedweek.com BMW are awaiting a response from the team as to whether they wish to continue next year. Bevilacqua is thought to be drawn to the more level playing field and lower costs of the British Championship, and recently told MCN’s World Superbike Reporter that he believes WSB needs to move in this way.